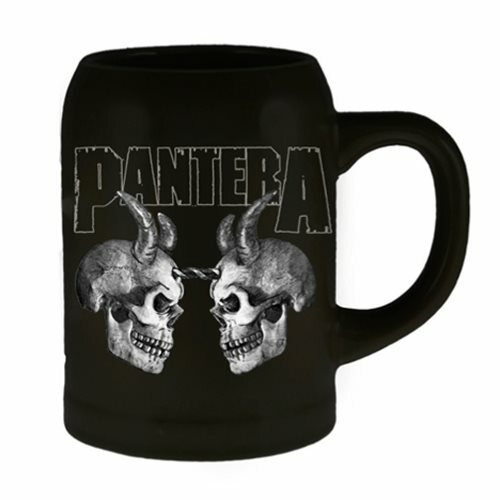 If you're a big fan, you probably want to order this intimidating Pantera Devil Skulls Stein featuring the double devil skulls and the word "Pantera." Hand wash only. Not dishwasher safe. Do not microwave.